Exit Newport on South Fourth Street, which becomes Upper Bailey Road and proceed 3 miles. 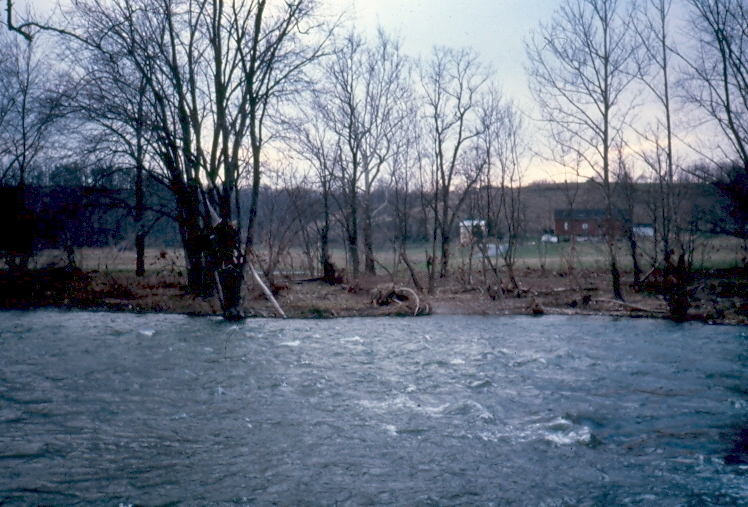 The structure stands where Upper Bailey Road ends at Lower Bailey Road (which follows the river from Newport). Joseph Bailey established an iron furnace here is 1845. 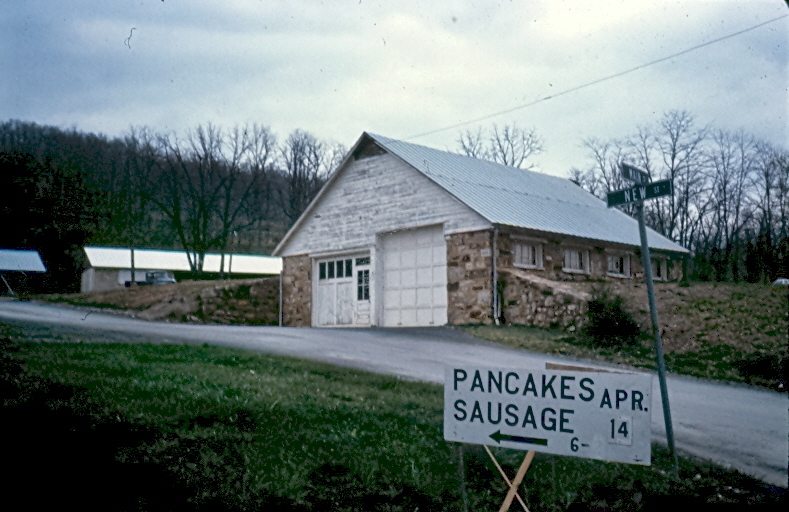 The community that grew up around the furnace was called Baileysburg, and later Bailey Station (of the PRR). Today the site is just called Bailey. This was a schoolhouse appointment supplied by the Methodists and the Evangelicals. The Evangelical appointment lasted the longest – into the 1900’s. 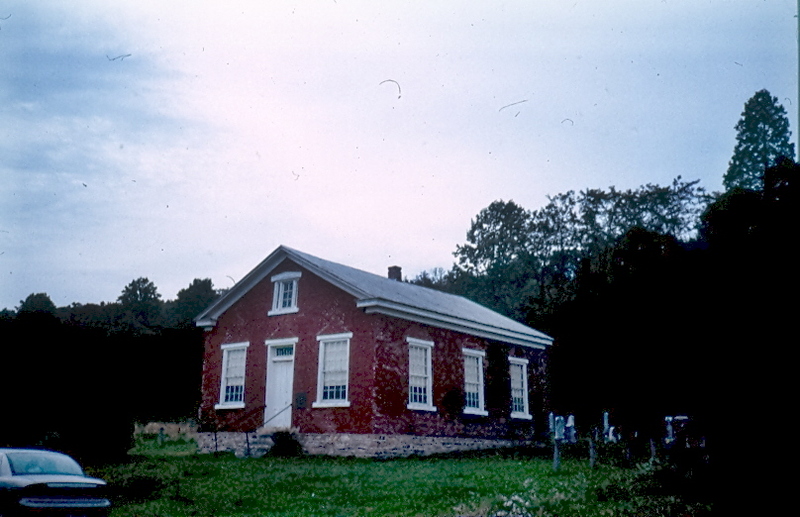 The Methodist class at Blain was organized about 1830 and met in homes and schoolhouses until a brick building was erected in 1855 on Manassa Road on land purchased from a David Black. When the present frame building was erected in town on Church Street in 1898, the old structure was sold to a L.M. 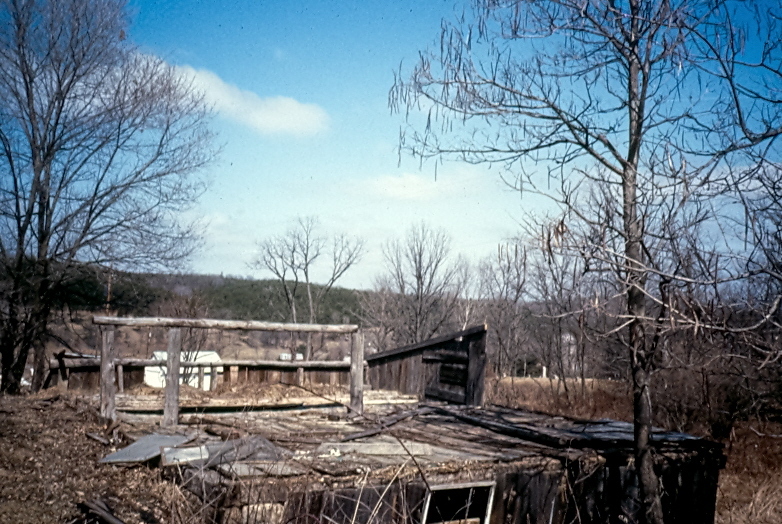 Wentzel – who used it as a planning mill until it burned. 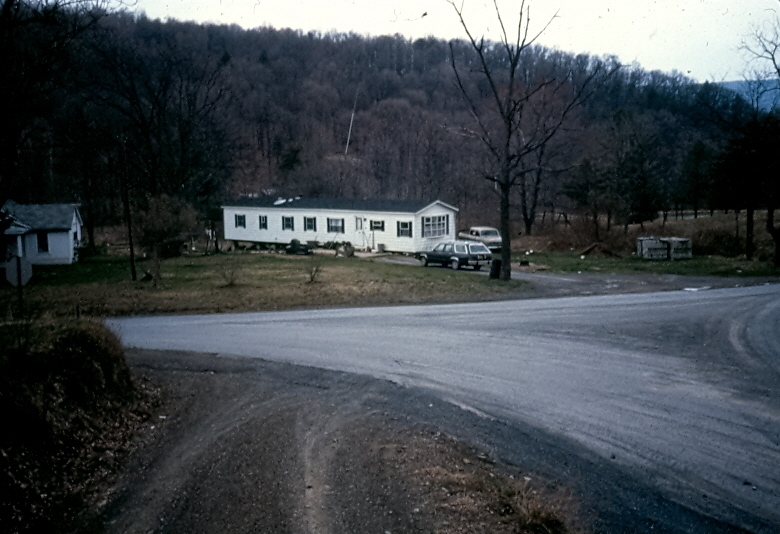 The property was sold 3/7/2014 to Mr. Christopher E. Boyer of New Bloomfield for $10,000. This was a union church building, the existing structure dedicated February 22, 1914, to take the place of one that had burned some years prior. This was part of the 4-point Eschol charge (Eschol, Gingerich’s, Mannville, Otterbein Chapel). 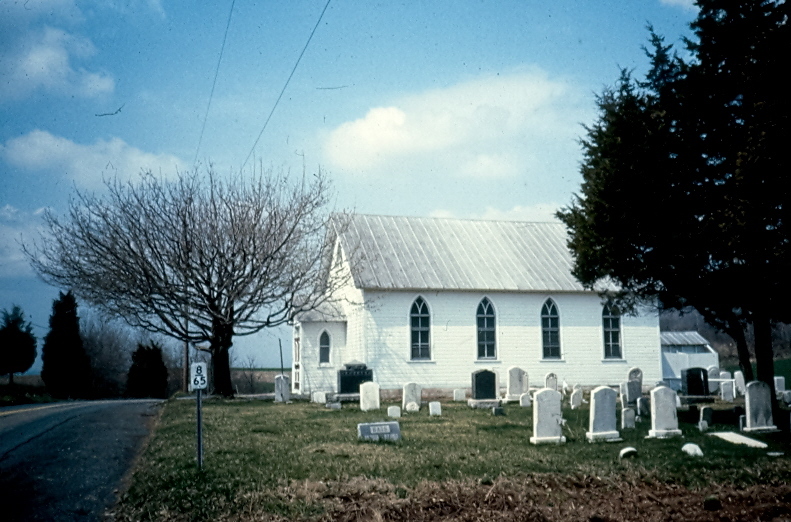 The charge was weakened by the 1889 denominational split, and none of the congregations survived. Exit US 11/15 at the PA 274 exit for Duncannon. 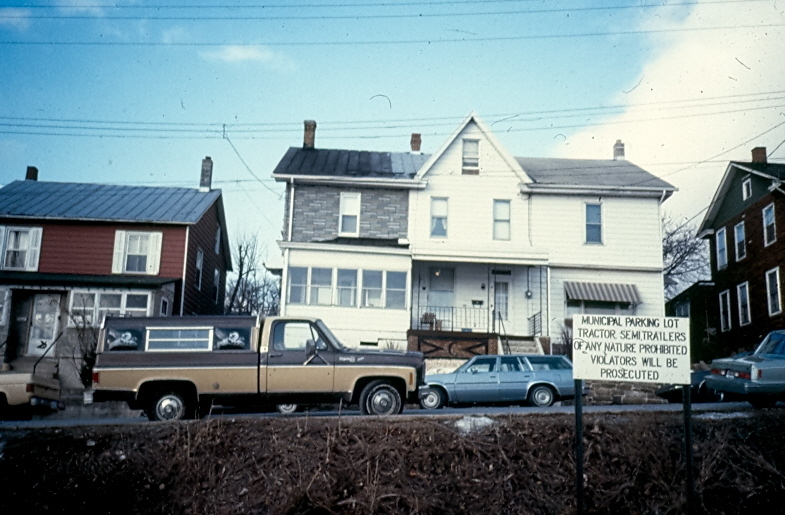 Enter Duncannon on Market Street (i.e., go under the PA 11/15 bridge) and go 4 blocks to Maple Street. Turn left on Maple Street and go 2 blocks west to High Street. 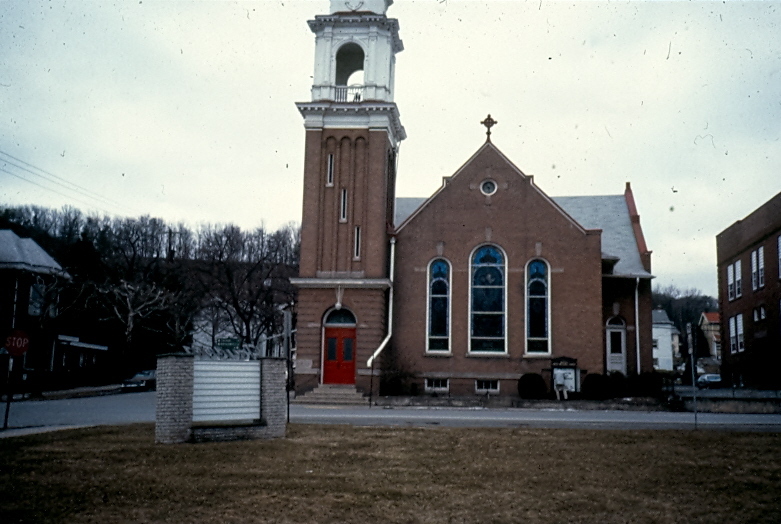 The church is on the northwest corner of Maple and High Streets. 1915,27 – Recommended: the missionary appropriation to the charge of $150 be paid only if the assigned pastor resides on the field, otherwise the appropriation shall be $50. 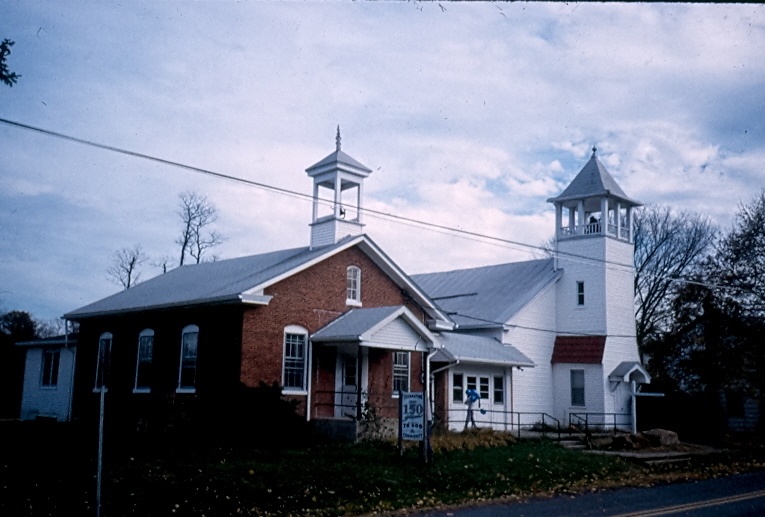 The church at Eschol was erected in 1870, and there was once a 4-point Eschol charge (Eschol, Gingerich’s, Mannville, Otterbein Chapel [east of Donnally Mills]). 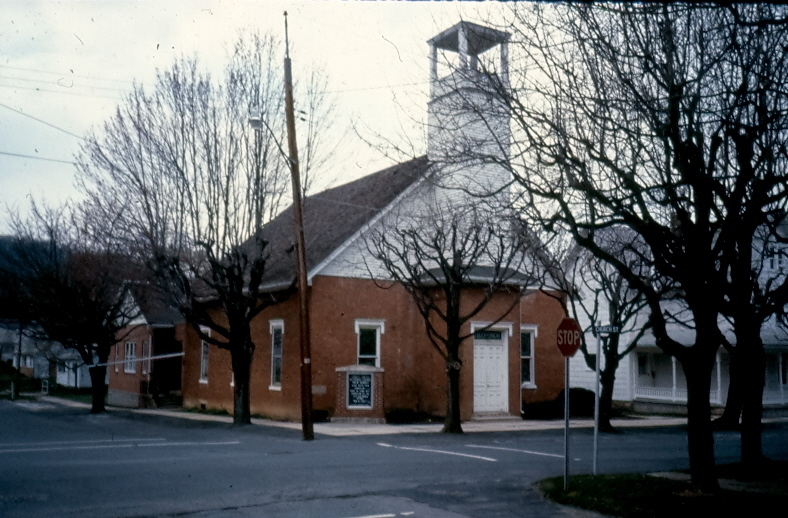 The charge was weakened by the 1889 denominational split, and the building was sold to the United Brethren Old Constitution in 1913. 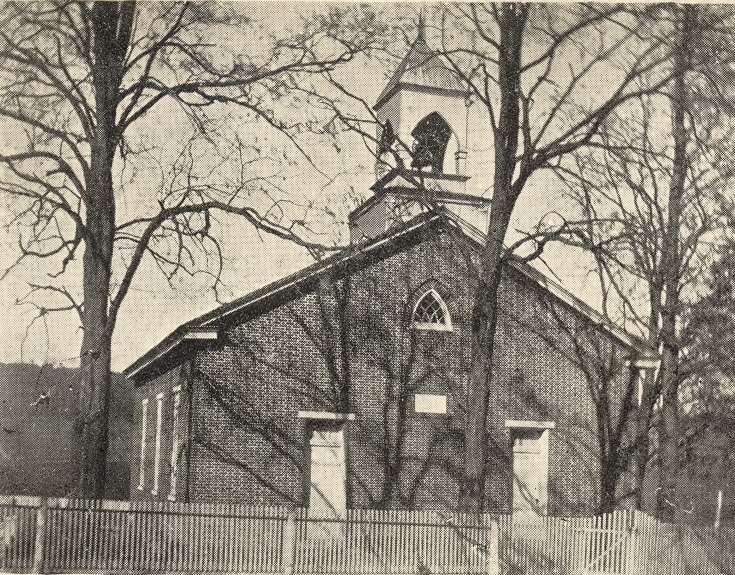 The last UBOC preaching at Eschol was in 1915, and the building was sold in 1919. The building was sold to Harry C. Boden, who removed it. 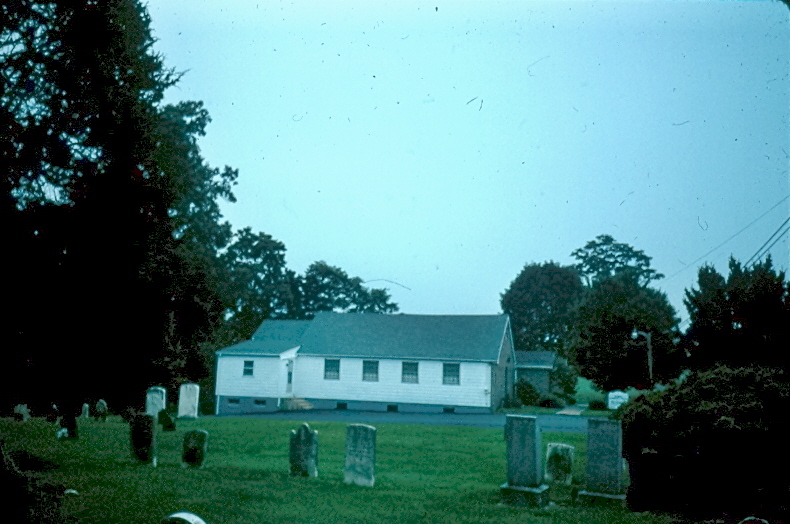 This was originally the site of a stone school building in which the United Brethren worshiped for over a decade before purchasing the property and remodeling it for worship about 1861. 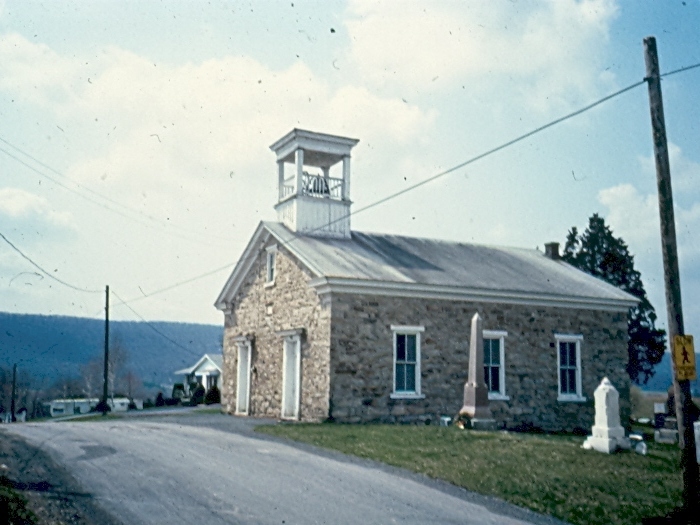 In 1892 the stone building was replaced by a new structure. 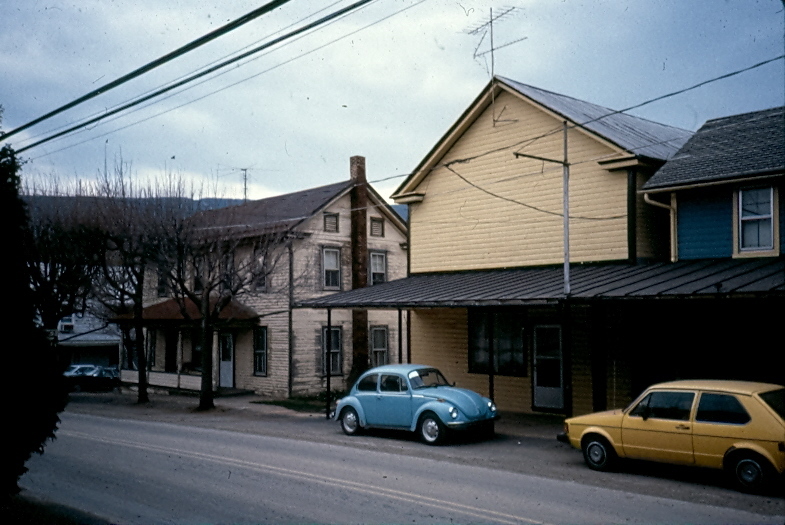 When the UB work began to dwindle, the building was purchased by the ME’s in 1910 and added to the Millerstown charge (Millerstown and Donnally Mills). Services ended in 1928, when the Liverpool charge (Liverpool and New Buffalo) was added to the Millerstown charge. 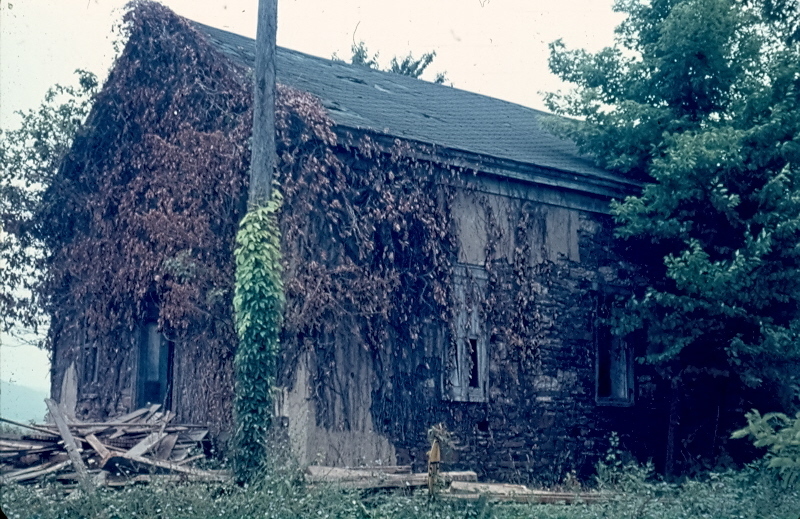 The building was moved back from the highway about 100 yards and is now a private residence. From Liverpool, go 1.8 miles south on US 11-15 to PA 34. 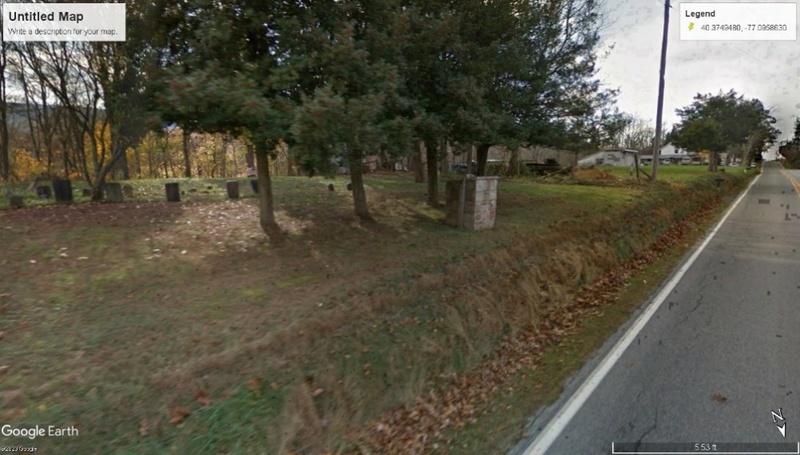 Turn west onto PA 34 and go 1 mile to Hunters Church Road. Turn south onto Hunters Church Road and go ¼ mile. 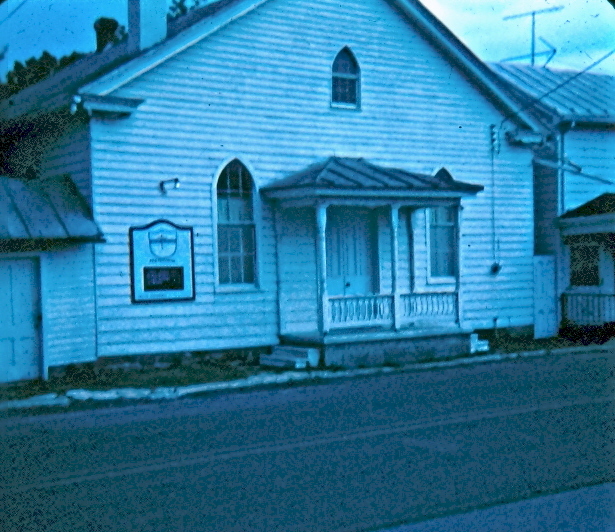 The church is on the right, opposite the western terminus of Orchard Road. 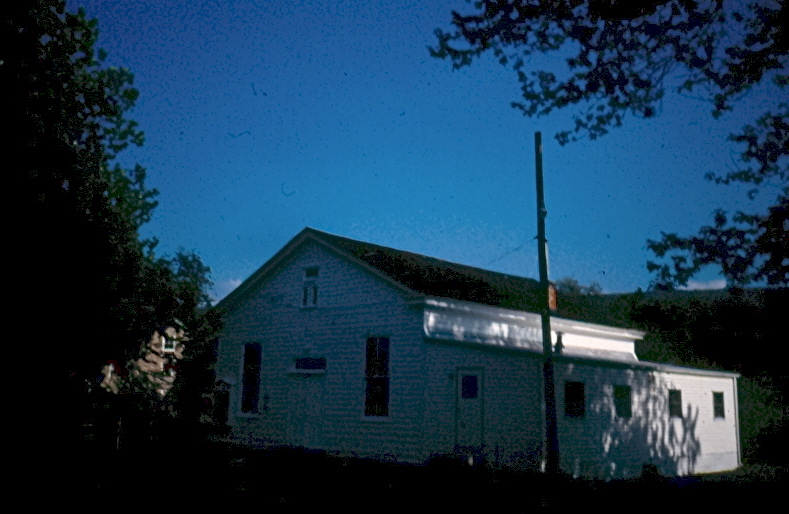 This building was erected in 1865 as a union church. When the structure was remodeled in 1883, articles of incorporation were filed naming the Lutheran, Evangelical, and Methodist denominations. 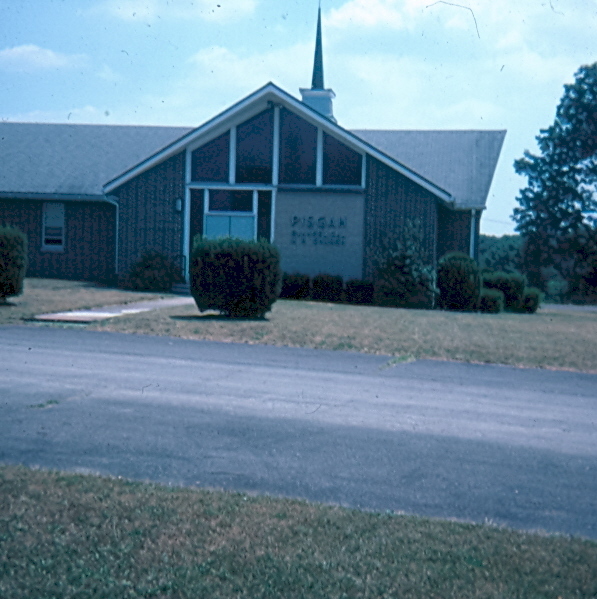 The Methodists discontinued services in the early 1900’s, but the Lutherans and Evangelicals continued worshiping together and holding a Union Sunday School into the 1960’s. In 1960 the Lutheran congregation merged with St. Michal and the Trinity to become The Lutheran Church of the Good Shepherd in Liverpool. The Evangelical (since 1946, EUB) voted to dissolve and deeded their interests to The Lutheran Church of the Good Shepherd. 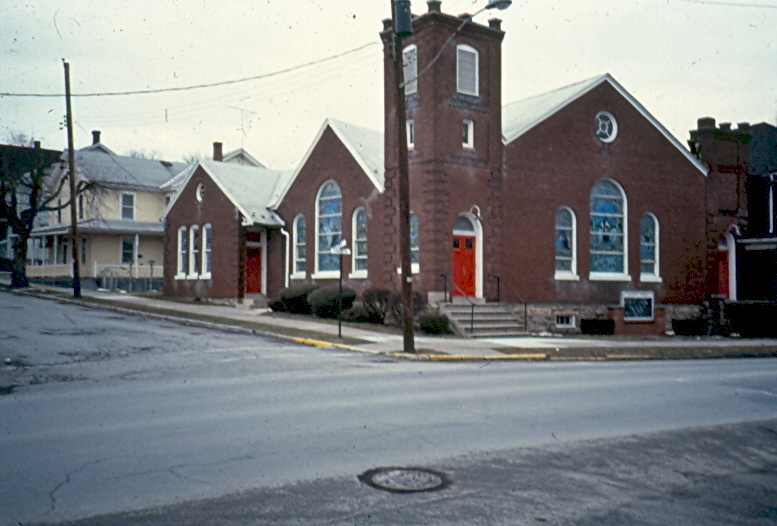 Each congregation received half of the remaining balance of the Union Sunday School, with the Evangelical share designated for “missions in the Central Pennsylvania Conference of the Evangelical United Brethren Church.” The Evangelical congregation was always part of circuit – the last one being the Newport circuit, from which it was served from 1933 until its closing in 1961. 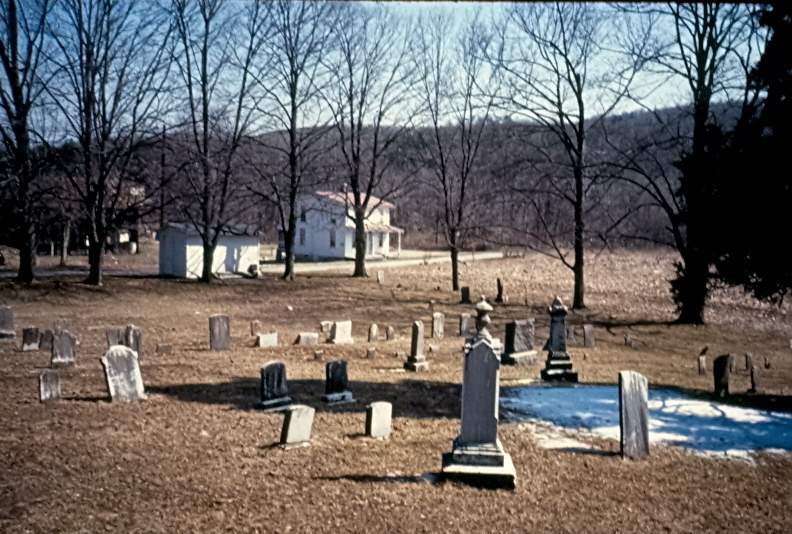 The building is maintained by a Cemetery Association and used for occasional special services. 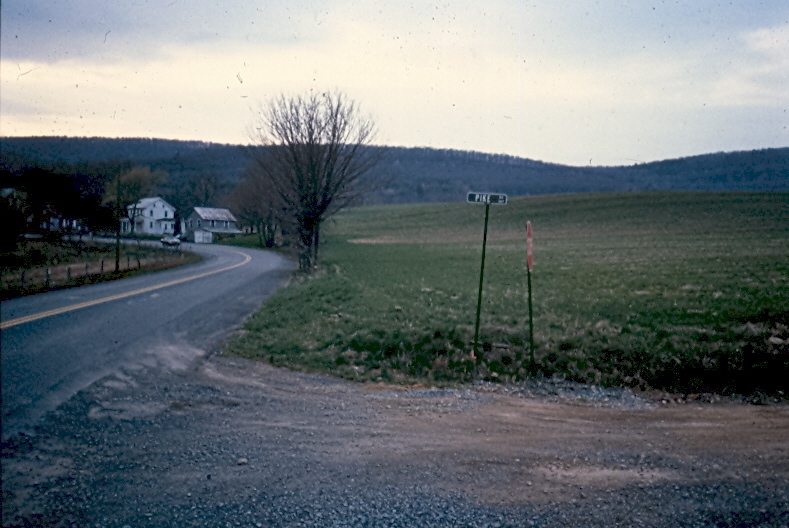 From the interchange of US 22-322 with Pfoutz Valley Road (between Millerstown and Thompsontown), go east 3 miles on Pfoutz Valley Road. 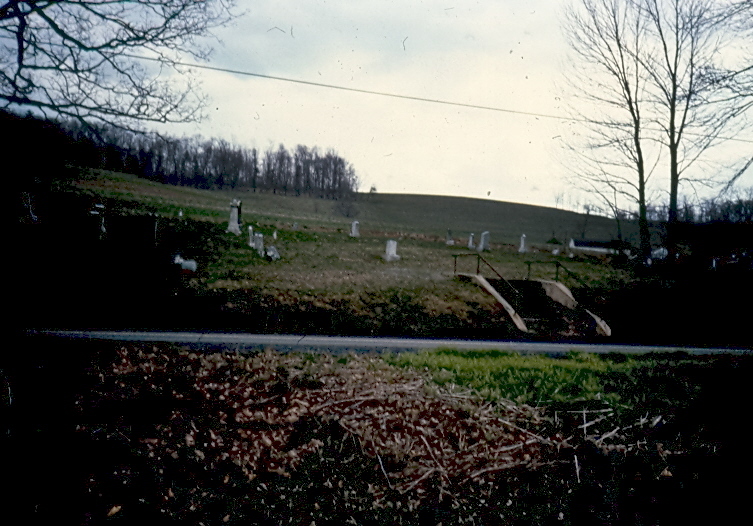 The remaining cemetery is on the north side of the road – and is the second cemetery along Pfoutz Valley Road. 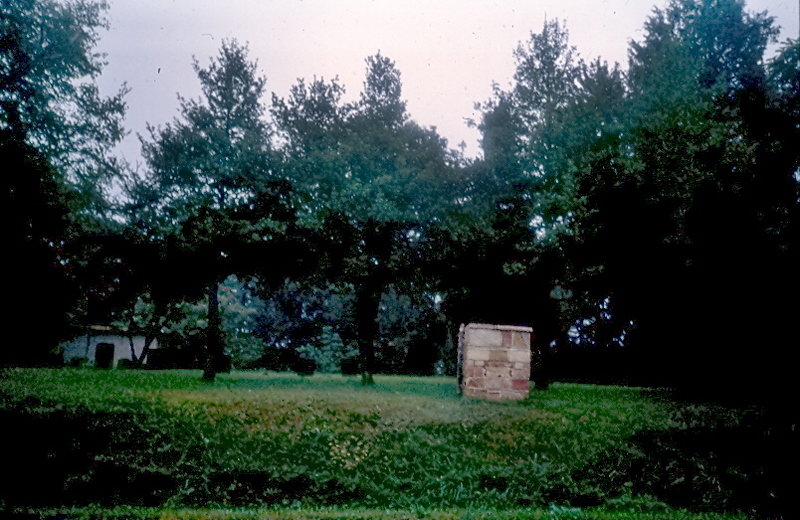 The two isolated AMRHEIM graves at the west end of the cemetery mark the spot where the chapel stood. 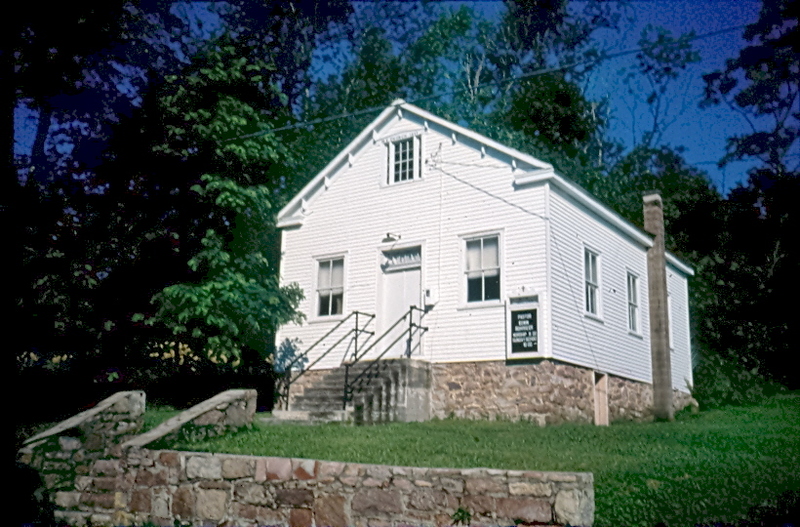 This building was dedicated November 12, 1876, and named Marshall Chapel in honor of the founding pastor, Marshall C. Piper. The work had begun when Rev. 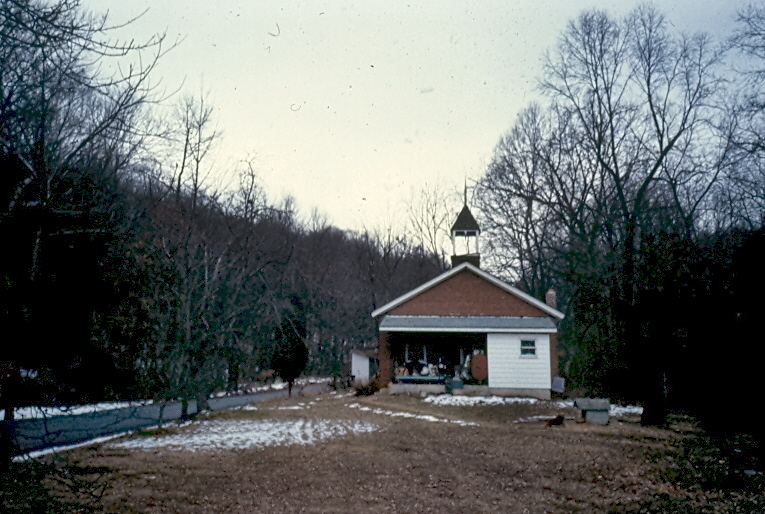 Piper of the Thompsontown charge began holding meetings in a nearby schoolhouse in May 1875. 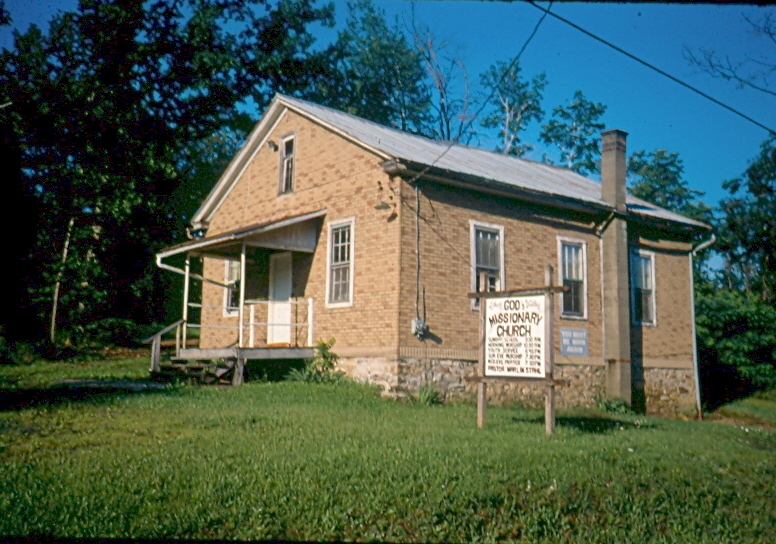 A successful revival meeting that fall resulted in the formation of a class and the desire for a church building. 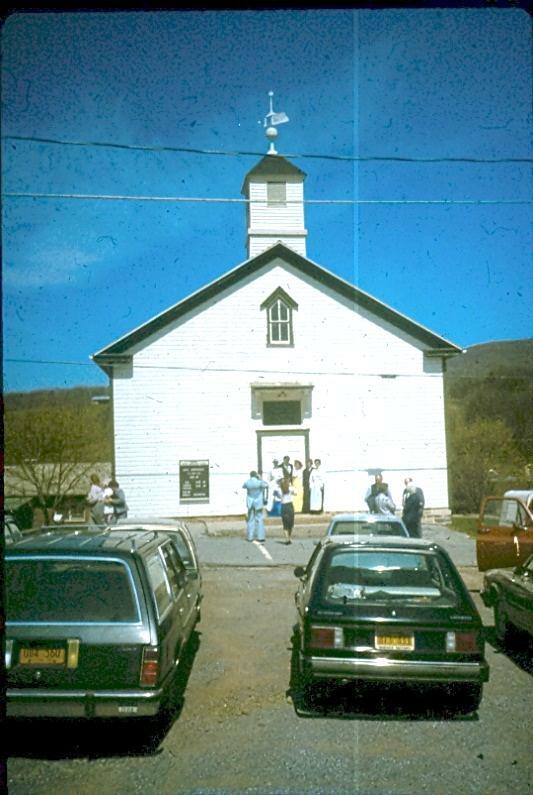 The congregation never was large and most of the people preferred to attend in Millerstown. 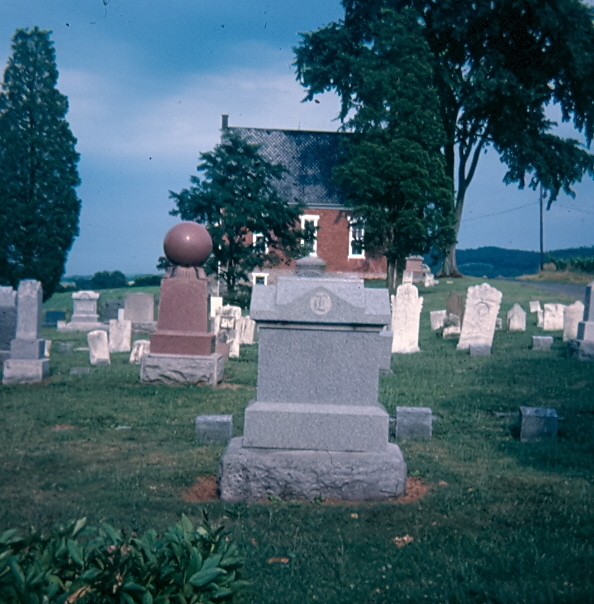 Services were discontinued in 1922. 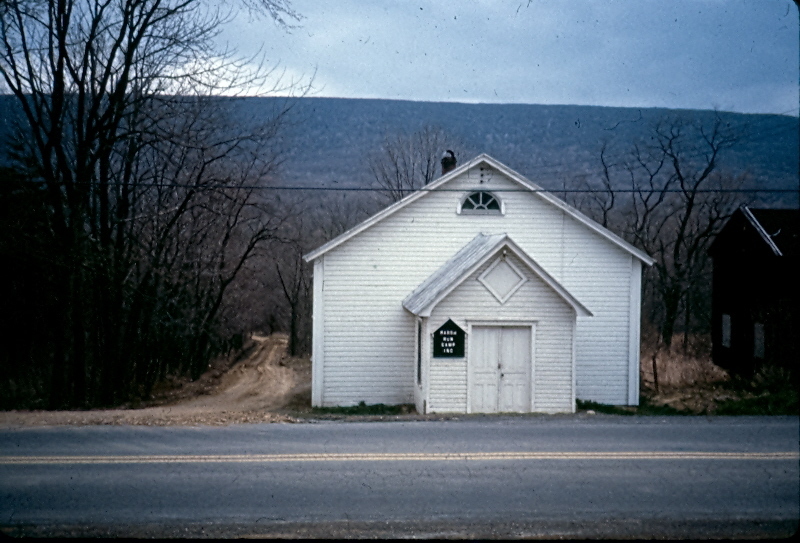 The chapel was dismantled in 1937 and rebuilt by another denomination in Watts township at the intersection of Notch Road and Spinning Wheel Road. After being used for a time as a church building, the relocated structure is now a private home. The chapel site appears to have been deeded to the Amrheim family. 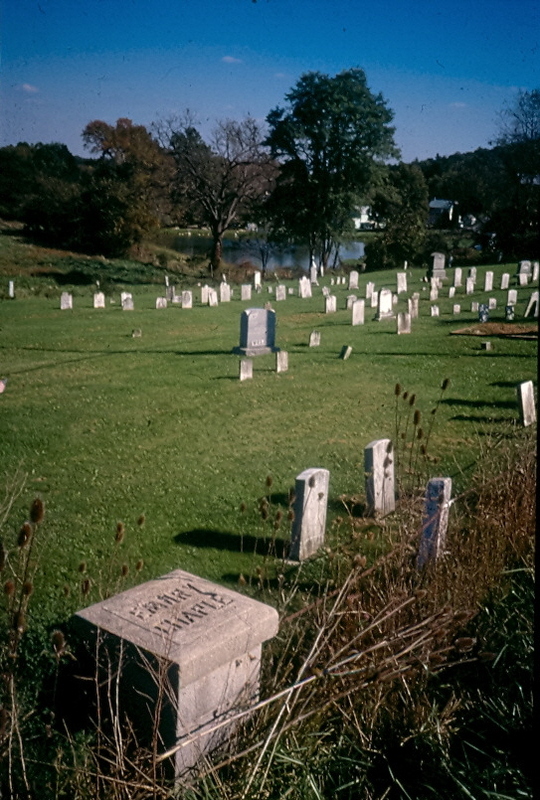 The first burial in the cemetery appears to be in 1890, and so it is possible that the congregation at this site did not exist until after the 1889 denominational split. 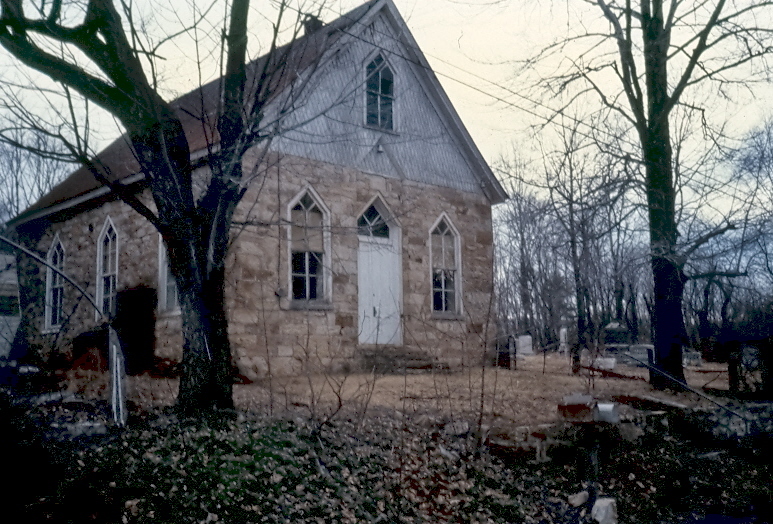 The building is now a private residence, but it was home to the Church of the Living Christ of Loysville 1981-85. 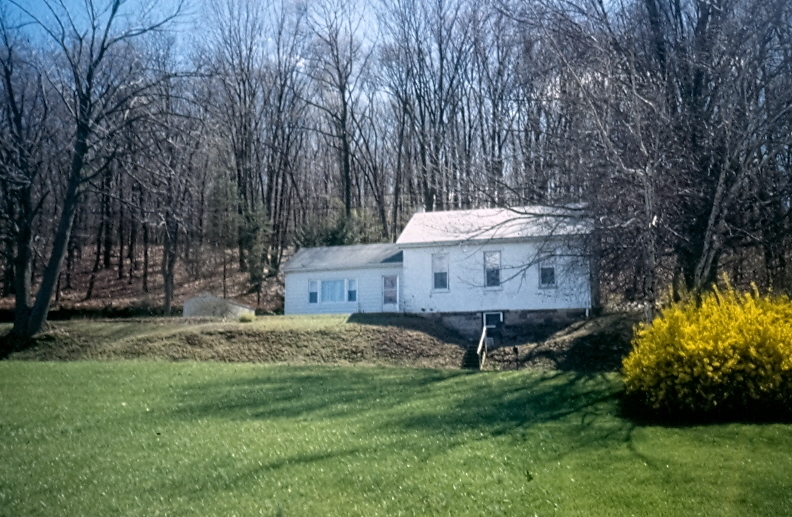 This property was deeded by John and Mary Baker to the “Methodist Society in Pfoutz Valley, Greenwood township” in 1807. The diary of circuit rider Nathaniel Mills for 11/10/1822 states that he preached in the home of Peter Coffman and that “their meeting house lies in an unfinished state.” The archives have the class meeting records from 1834 to 1841. 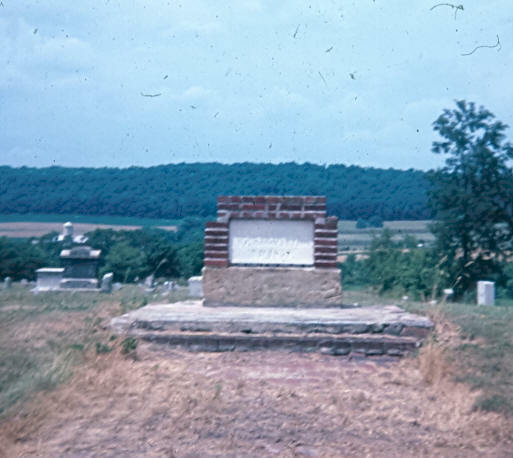 The building is assumed to have stood along Pleasant Valley Road, which parallels PA 274 north of Elliottsburg. 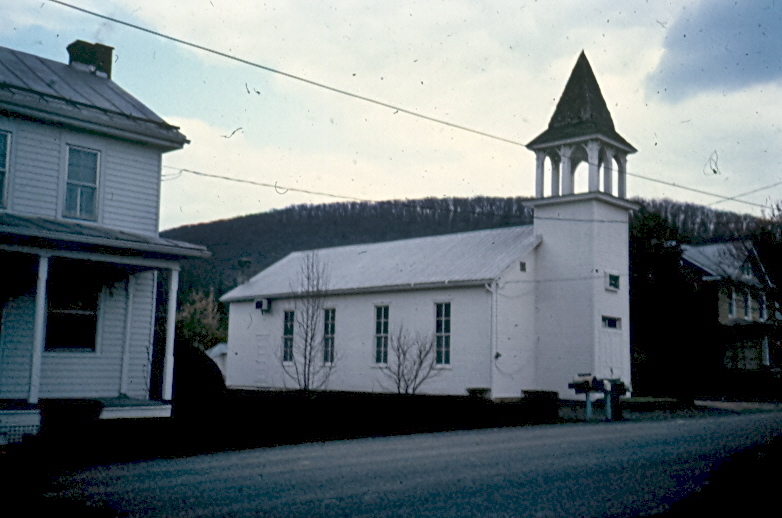 Any relation to the present Pleasant Valley Church at 263 Church Road, southeast of Mannsville and just off Pleasant Valley Road, is unknown.